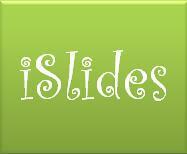 Your message has been sent to iSlides SlideShows. Like authorSTREAM? Give us a +1! Beamer93 commented on islides's presentation "Vin Diesel"
Vin Diesel is an American actor, writer, director and producer. Handemour commented on islides's presentation "Michael Jackson Life and Times "
MJ, the King of Pop is not with us anymore. He died on June 25 of suspected cardiac arrest. This presentation is a tribute to the great..
Handemour : I want to download this presentation, could you send me the link? Rockvendan commented on islides's presentation "Google Wave"
rose_2189 commented on islides's presentation "Enrique Iglesias"
Enrique Iglesias is a Spanish singer, song writer, model and actor. gabym111 : Hello there! I would like to download this presentation. I think it is very useful for my English classes. islides uploaded a new presentation "The Story of Two Best Friends Alan and Alien "
islides uploaded a new presentation "Haiti EarthQuake Help The Needy "
islides uploaded a new presentation "New Year Greetings "
islides uploaded a new presentation "Happy Christmas "
islides uploaded a new presentation "Have a Very Merry Christmas "
islides uploaded a new presentation "Happy Thanksgiving "
islides uploaded a new presentation "Halloween Celebrations "
islides uploaded a new presentation "Happy Halloween 2009 "
islides uploaded a new presentation "Halloween"
dwightgenius : Free Halloween PowerPoint Templates: http://www.dvd-ppt-slideshow.com/powerpoint-templates/halloween.html Free PowerPoint Background..
khanhvy101 : hi! nice o meet you. your pp is wonderful and i like it so much. so can you send it to me? this is my mail: le.levy.vy@gmail.com. thank..
islides uploaded a new presentation "Barack Obama's Diwali Message"
islides uploaded a new presentation "Diwali Celebrations"
islides uploaded a new presentation " Barack Obama Wins the Nobel Peace Prize "
U.S. President, Mr.Barack Obama won the Noble Prize Peace on October 09, 2009.
islides uploaded a new presentation "Of Man and Animals"
sukhpreeet : I love animals and I also have a pet dog at home. They are so innocent and true friends. They show care in their own special way and yo..
islides uploaded a new presentation "Tongue Twisters"
sukhpreeet : looks interesting right ? ?